Our ability to process 1,000 or 10,000 kg quantities - or even 100,000 kg quantities - enables our customers to evaluate supercritical fluids for their specific needs without investing early stage and high-risk capital. Our expertise ensures rapid development and scale, minimizing your costs and decreasing your time-to-market. In July 2007 Phasex commissioned its large toll processing facility. For a bit of chronology, the plant was designed, equipment purchased and installed, heat exchangers and controls added during the course of several years, consistent with the availability and acquisition of capital. As examples, the 320L vessels were ordered in 2000, the recycle compressor in 2002, chillers and condensers in 2004, controls in 2006, all assembled, piped and wired in 2007. The throughput of the plant is ~350,000 kg/yr (again a function of gas recycle requirements). Installed in 1989 and first serving as a pilot plant to extend the laboratory R&D testing capabilities of Phasex to process optimization and scale up, the plant, initially with a 10L capacity, came to its current 150L processing capability via a series of increasing-size vessel, separator, and recycle compressor retrofits. The first increase in vessel size was to 80L; it can operate in parallel or series with the 150L. The current processing capability of the plant is ~ 100,000 kg/yr (depending upon the gas recycle requirements), and it has been designed for maximum flexibility and efficiency. 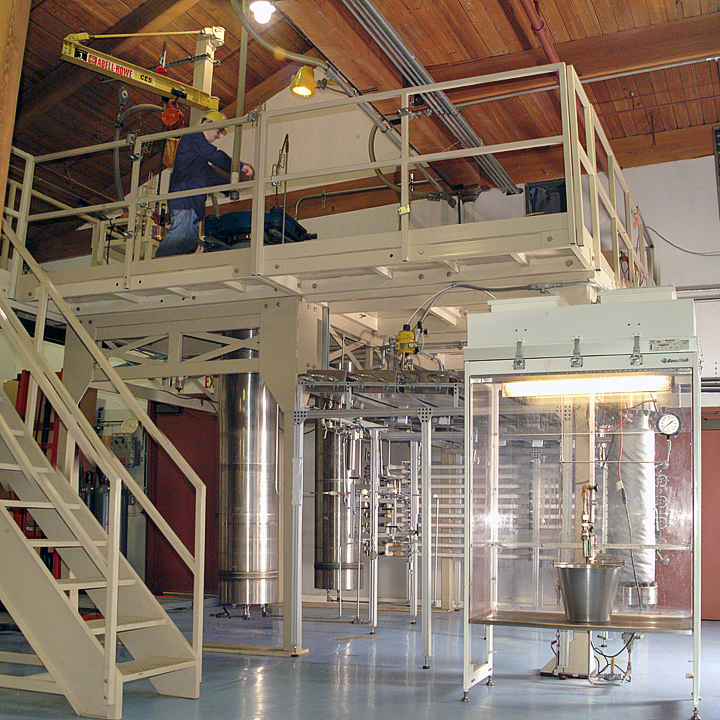 And while it still is available for use as a (now quite large) pilot plant for collecting scale-up and long term process operating data and for establishing integrated extraction and gas recycle parameters, it serves primarily to toll process small volume materials such as medical polymers, nutraceuticals, specialty lubricants, and the like. One notable advantage of this small plant resides in its ability to process small materials campaigns of 1000kg, or less, with a fast turn-around schedule. Campaigns of 10,000kg or more are processed in the 2 x 320L plant, smaller campaigns in the 1 x 150L plant (in either the 80L or 150L vessel depending on campaign size). 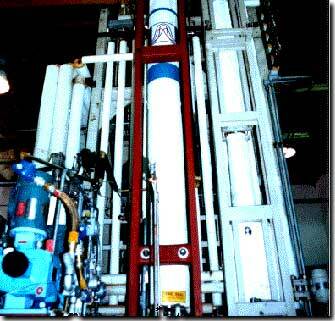 The plant also processes liquid feedstocks at large volume in a 4in diameter, 17ft high counter-current column. Operations such as stripping of volatiles from odoriferous or residual solvent-continuing oleoresin extracts, purification/fractionation of edible oils, and extraction of by-products from liquid polymers are carried out at throughputs ranging from as small as 20kg/day to 300kg/day (again depending upon the specific selectivity and distribution coefficients, which are determined during feasibility and optimization testing in the laboratory). Surface area enhancing internals result in gas-liquid contact efficiencies of 20 to 30 equilibrium stages in the 17ft column, providing a high degree of purification and fractionation of lubricants, liquid polymers, and surfactants. A smaller countercurrent column, 2 in. dia. x 10 ft. high, is used for optimization studies or for very small quantities (5-10kg) of specialty feedstocks. Both recycle compressors are constructed with triple diaphragms and were designed expressly to eliminate any contamination of the recycle gas stream with lubricants and hydraulic fluids. The current 1x150L plant, which initially was a small 50kg/hr process optimization plant, was retrofitted in 1993 with a 300 kg/hr compressor to provide greater production capacity. The 2 x 320L plant operates with a 1500 kg/hr recycle compressor. Both plants are GMP compliant. 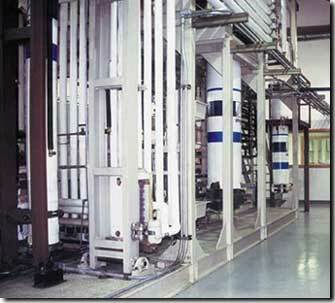 Integrating its broad technical base with facilities that have been designed for rapid scale up, process optimization, and large scale production, Phasex Corporation reduces time to market, minimizes development costs, and delivers superior quality products and processes for test market or for full-scale production requirements. The 80L and 150L sections of the 1x150L plant can also be used for scale up and process verification for those companies that will take developments internally when projected production volumes are beyond Phasex Corporation’s current capacity. For such volume products the 2x320L plant provides a market entry capability while the company constructs its own large scale facility. Our ability to process 1,000, 10,000, or 100,000 kg campaigns enables companies to evaluate supercritical fluids for their applications with no early-stage, high risk capital investment. Let our expertise in Toll Processing provide you with rapid process/product development and scale up, thus minimizing your costs and decreasing time to market.